On the evening of September 8, 2011, a group from Franciscan Mission Service (FMS) attended Pax Christi USA’s Annual Momentum event at Catholic University. Entitled “Peace & Reconciliation: Spiritual Reflections a Decade After 9/11,” the event encouraged attendees to take into account the variety of responses that were taken as a result of the attacks. Jim Wallis, the keynote speaker for the evening, focused on how 9/11 produced a feeling a vulnerability throughout American society. Wallis stressed that the past decade has been overshadowed by the U.S. Government’s response (two wars, the war on terror, etc.) However, amid the backdrop of the United State’s official response, Wallis stressed that there were and can still be more positive responses to such feelings of vulnerability. (The main points of Wallis’ presentation appear in his blog. ) 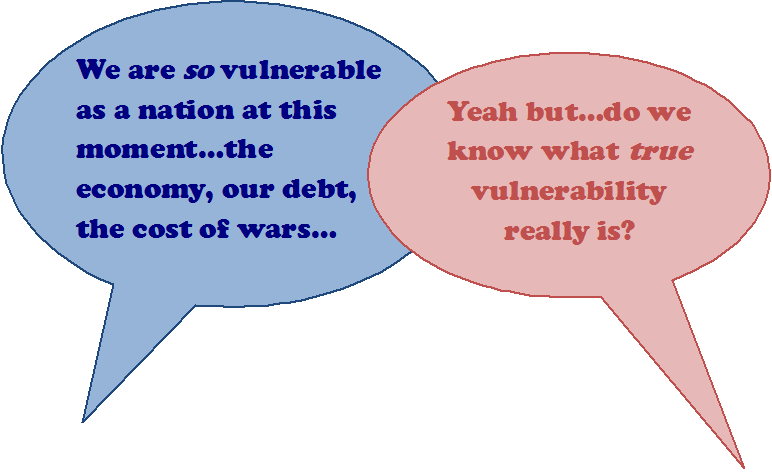 What is FMS’ role in addressing the issue of vulnerability? FMS’ work in both Latin America and Africa is one such continual, positive response…not to just an “American” sense of vulnerability but more importantly to a “permanent” vulnerability that is felt in international communities that lack certain resources in order to realize their full human dignity. When a missioner from FMS walks alongside those who are continually “vulnerable” (at least from the point of view of a rich nation), it constructs a bridge that allows a missioner and her/his supporters to experience a new type of vulnerability that they may have never experienced before. In turn, a transformation occurs. For the missioner and her/his supporters, the “other” is transformed into a “human being” in which greater opportunities exist to share God’s love, collaborate towards building up human dignity, and to promote God’s universal kingdom. For Reflection: Perhaps adopting the vulnerability of other human beings is just one way to overcoming our own vulnerability, whether fabricated or real. Is this the type of positive response that Jim Wallis was talking about?